Relive the journeys of the pharaohs by cruising down the Nile in a luxurious dahabiya; a golden sailboat imbued with romance and mystery. 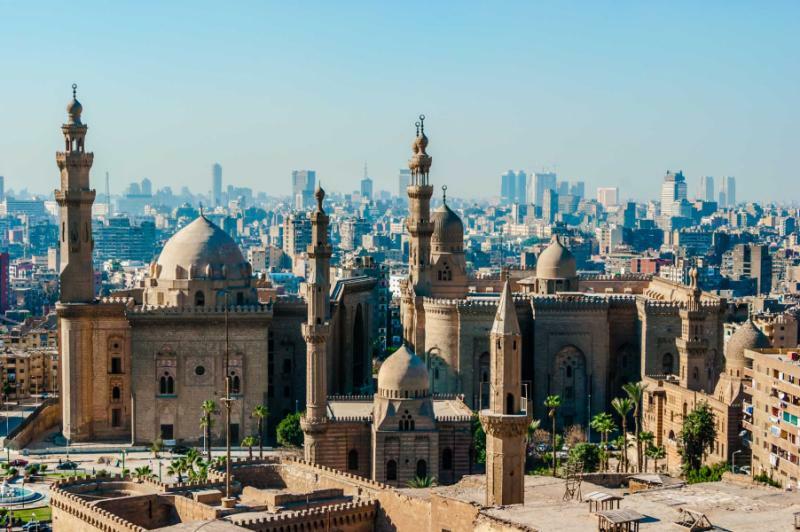 Serene and salubrious, this 11-day Egypt cruise tour connects the legendary wonders of the Nile with the charming sights of Nubian villages and palm-studded islands. 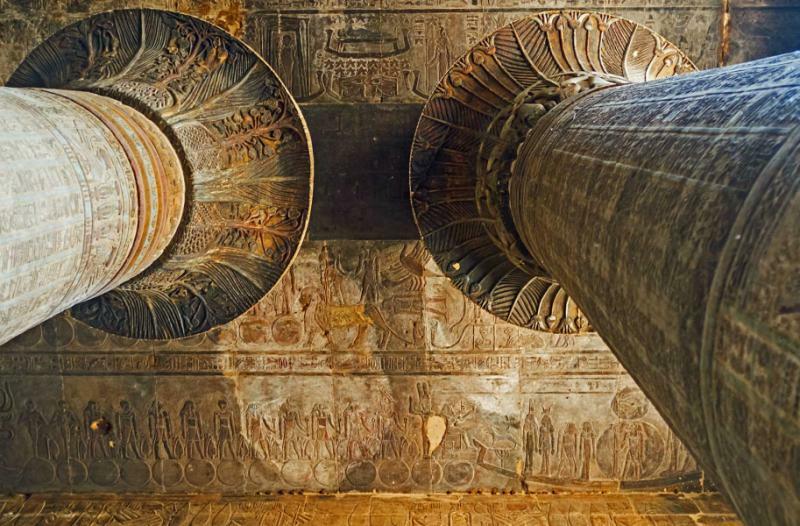 You disembark into astonishing temples and tombs, float on into a realm of old-world grandeur, and recreate the authenticity of ancient Egypt. The world’s contemporary opulence has its roots in the Egyptian pharaohs and kings. These rulers redefined notions of luxury, building extravagant tombs laced with gold and treasures, extravagantly dreaming the pyramids. They traveled in golden sail boats, which would later be known as dahabiya (an Arabic word for “golden boat”). When archaeologists and noblemen began exploring Egypt in the 19th century, they also used these historic vessels for transportation. 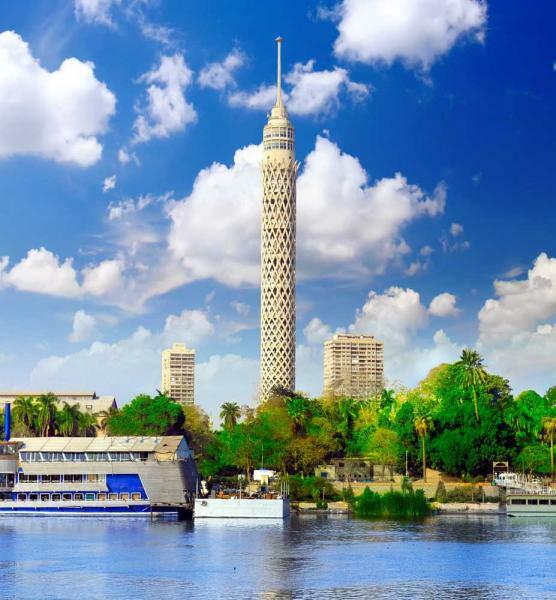 And in the 21st century, the old-world dahabiya has been rediscovered, offering a unique insight into the atmosphere and legends of the River Nile. 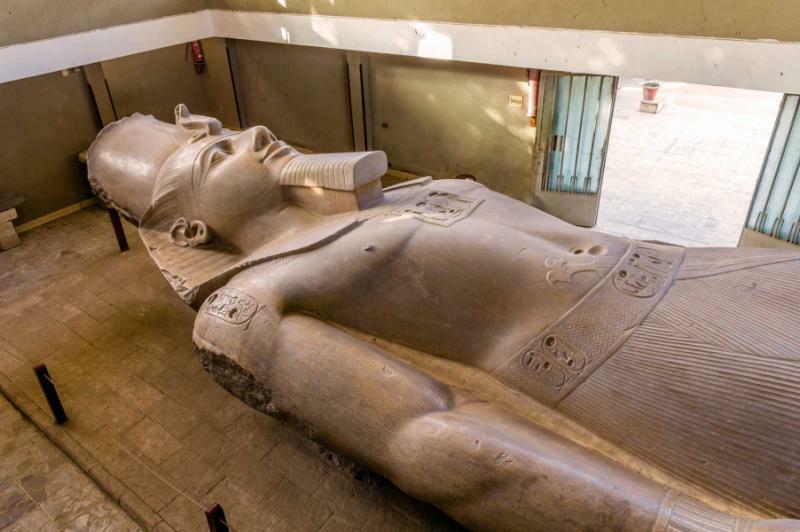 This exclusive tour celebrates the time of the pharaohs. Cruise up and down the Nile in a luxurious dahabiya, the vessel of old-world nobility brought up to date with modern comforts and amenities. Your journey along the banks of the ancient waterway, past mud-brick houses and three-millennia-old temples, donkey carts, and memoirs to the country’s magnificent past. Using wind power, you cross to palm-studded islands and Nubian villages along the banks, onwards past opulent tombs to remarkable oases seemingly frozen in time. 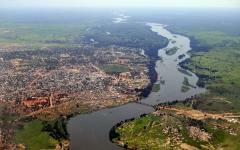 A journey along the River Nile always takes visitors back in time. With a dahabiya, the journey really celebrates the grandeur of yesteryear and evokes the ambiance of Egypt’s ancient rulers. 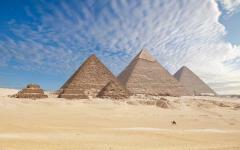 Start with three nights at a hotel overlooking the pyramids in Giza. 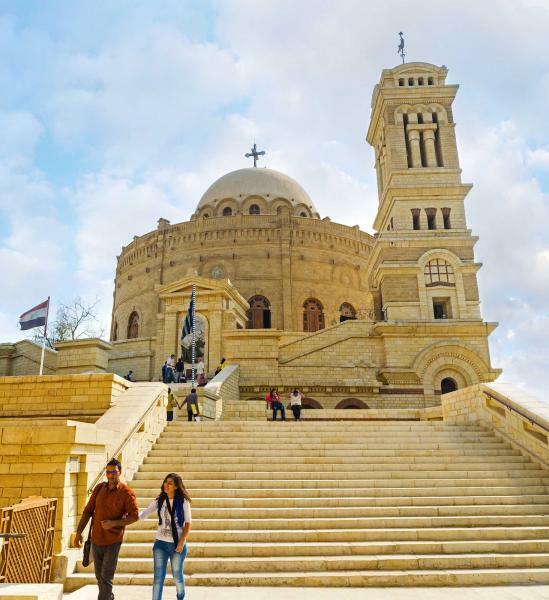 You explore the unforgettable sights in and around Cairo, such as enchanting Memphis, the first pyramid of Saqqara, and the surreal collection in the Egyptian Museum of Antiquities. 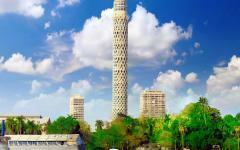 Fly to Luxor and board the dahabiya for lunch, before an intimate tour of the temples of Luxor and Karnak. The next day features the Valley of the Kings and Valley of the Queens, completing the discovery of Luxor’s astonishing open-air museum. For mystical temples and intricate details, there is nowhere in the world quite like the monuments of Luxor. 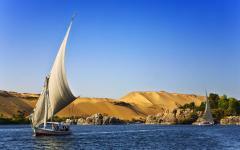 It takes three days to cruise upriver to Aswan. A dahabiya is smaller than the modern luxury ships, enabling it to dock in places that most cruises have to miss out. You disembark straight into the astonishing temples and spend the night besides tiny island frozen in time. 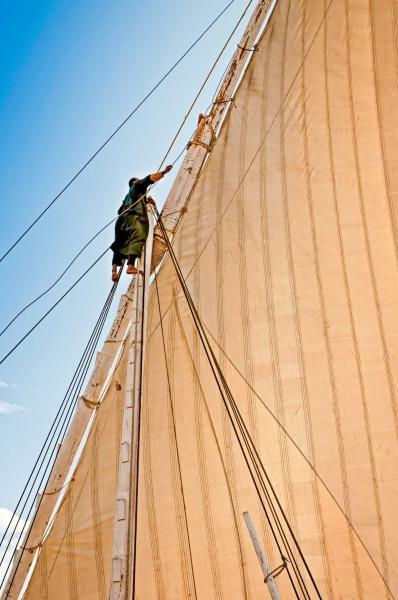 You’ll spend two nights docked in Aswan, visiting sleepy villages and immersing yourself in its exotic atmosphere. There’s serenity in this desert oasis, one that complements the rhythm of the cruise. 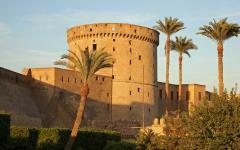 Set off back to Luxor, stopping at a new collection of iconic sights and historical monuments. With the dahabiya as your vessel, the delights of the Nile really come to life, and you uncover an Egypt that’s far beyond the typical tour bus trail. The last remaining wonder of the ancient world greets you from your hotel. 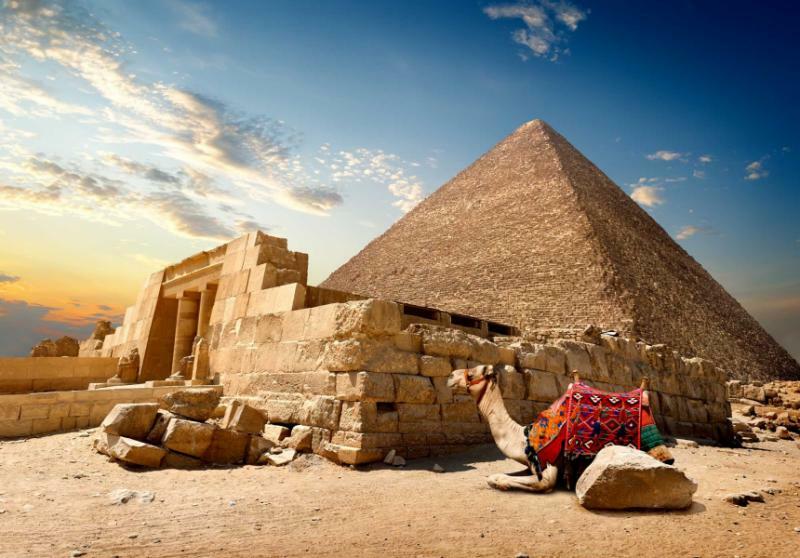 Stretching over 150 meters into the sky, it’s the Pyramid of Khufu that dominates the desert landscape. The Khafre and Menkaure pyramids stand like younger siblings, equally resplendent as the sun bounces off their dusty facades. 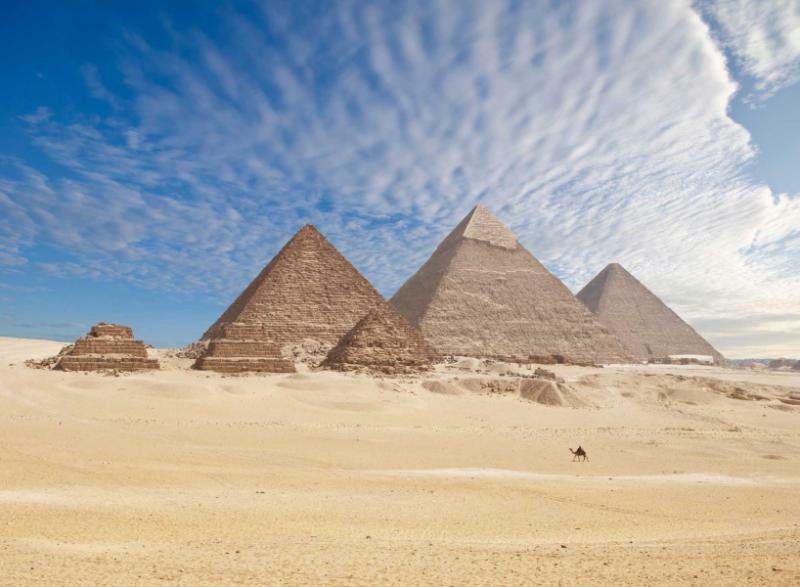 More accurately, these smaller pyramids were the ones that young tyrant Khufu was determined to outdo. Your hotel looks over the scene, and if you peer close enough, you’ll see the sphinx, the gatekeeper to this ancient world. Built in the 19th century, your five-star accommodation combines its location with an old-world grandeur. You’ll be greeted at the airport and assisted through customs and immigration, before the journey to your luxury hotel and the glorious vistas of the pyramids of Giza. 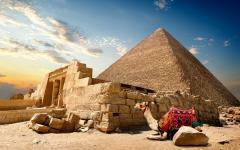 A camel greets you after breakfast, leading you the few steps past the sphinx, towards the three famous pyramids. Climb inside one of the monuments and explore before most of the coach parties arrive. From here, you’re driven to Saqqara, where the Step Pyramid of Djoser celebrates the innovation of the Egyptian design. It was the first attempt at the structure that the Egyptians would be remembered by, and it still stands proudly after some 4,700 years. Sprinkled nearby are the ruins of temples and tombs, crumbling collections of stone that would be world-famous attractions if they weren’t outshone by Giza. The day’s tour is privately guided, and you start unraveling the story behind the aesthetics. For all their magnificence, the ruins of the temples have a rather haunting history. 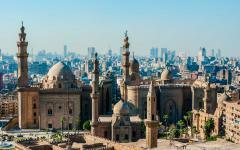 Stop for lunch and complete the tour at the remains of ancient Memphis, where you glimpse at the past glory of Egypt’s first capital. Sounds float around the winding alleyways of Coptic Cairo, taking you into the labyrinth of the city’s heart. A local guide knows how to navigate. 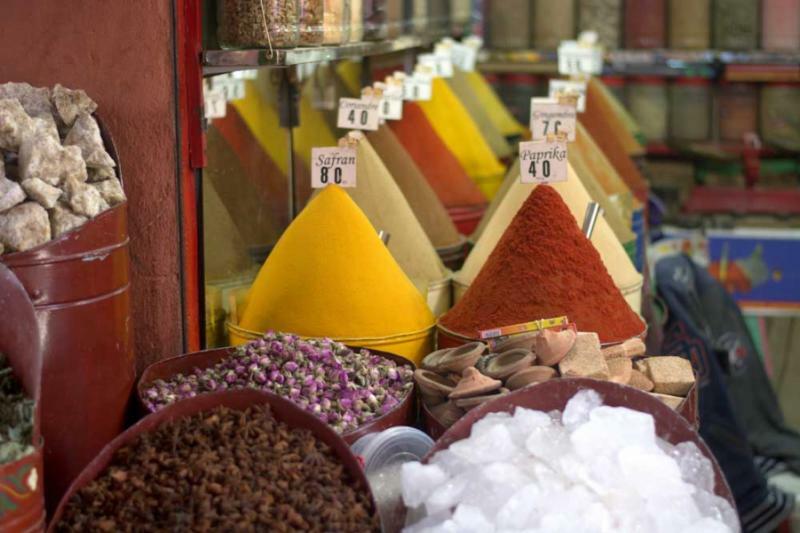 Turn corners to churches built in the fourth century, follow the smells to a bustling market and explore the colors that exist in the midst of the city’s maze. While much of Cairo is rushing into the future, Coptic Cairo is where traditional architecture and ambiance is firmly in place. 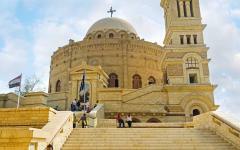 You’ll stop for lunch at a popular local cafe, and then spend the afternoon at the Egyptian Museum of Antiquities. Many visitors head straight to the treasures of Tutankhamon’s tomb, but this museum has so much more. Your guide provides the insider’s perspective, linking the stories and collections that celebrate the splendor of ancient Egypt. Few museums on the planet have such an impressive collection. 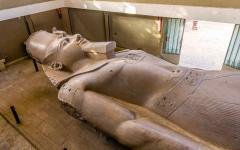 Luxor is widely celebrated as the world’s greatest open-air museum. The archaeological sites are beyond comparison, their scale and grandeur dwarfing anything unearthed elsewhere in the world. Photos provide a glimpse of the riches on display. But these monuments can’t be portrayed in snapshots. 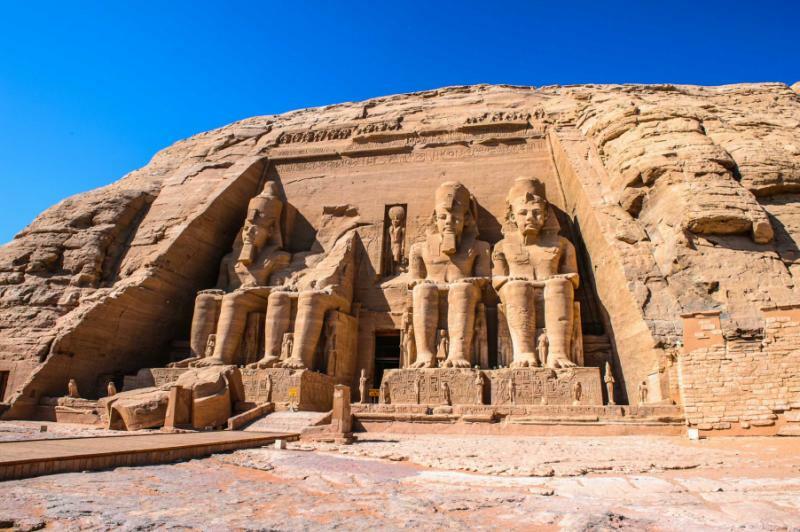 Only when walking along avenues of sculpted sphinxes, through halls of towering columns into exquisite temples, can you come close to understanding this remarkable place. All the senses are invoked. Footsteps echo off hieroglyphic-inscribed walls, smells of dust evoke ancient Thebes, and the beautiful Nile flows enigmatically through the ruins. Visiting Luxor isn’t about sightseeing. It’s about immersing yourself in a lost world that photos can’t even begin to portray. After the flight from Cairo, you spend the afternoon on the East Bank, following the avenue built by Ramesses II, through the pylon entrance into courtyards dedicated to three distinctive gods. On the private tour, your guide translates the scenes of gods and pharaohs that seem to dance along the walls. You’re guided to the mystical remnants of the Temples of Karnak, some standing in a redolent state of ruin, others as glorious today as they were all those centuries ago. Continue to the Temple of Luxor, admiring the mutilated statues of Ramses II and the astonishing spectacle of the Court of Amenhotep III. You’re reliving the history, lost in the narratives of Thebes, lost in the atmosphere of an era that will never be forgotten. Late in the afternoon, you embark the dahabiya for your first night sleeping on the Nile. Temples and tombs line Luxor’s West Bank, each elaborately painted and coated in riches. The one of Tutankhamen is the most famous, but those of Ramses V and Ramses VI are the finest, staggering examples of the excess that dominates the Valley of the Kings. The Mortuary Temple of Queen Hatshepsut showcases another architectural style, spread over three tiers and framed by majestic cliffs. Aged hieroglyphs greet you at the temple of Ramses III, leading you on a journey through symbols to the fabulous murals spread across the temple walls, their color still shining after all the centuries. Complete the privately guided tour at the Colossi of Memnon before returning to the boat and setting sail for Esna. Lunch on the boat, relax on the sundeck, watch the desert roll into the distance, and settle into the gentle rhythm of the cruise. 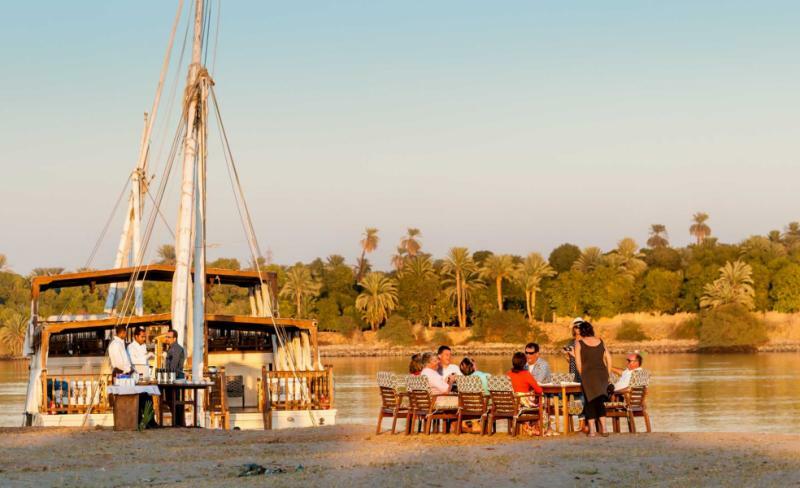 You’ll spend the night docked beside a small island in the Nile. The Nile River has always brought life to the desert. Settlements line its banks, just as they have done for thousands of years. 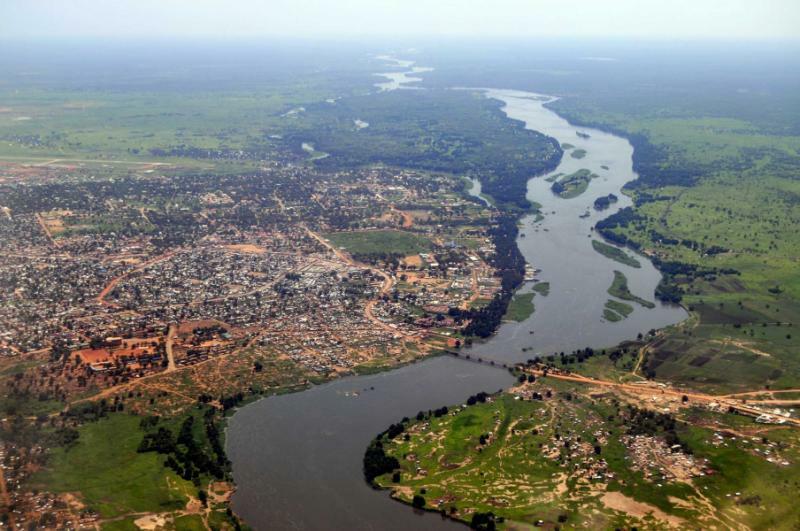 Circular mud-brick houses stand above the water; donkey carts are laden with goods for trade, children wave as mothers wash clothes in the river, and the dahabiya slowly reveals life along the Nile. Dramatic temples emerge like phantoms, appearing amidst the tones of the desert, and then blending into the horizon as you sail past. Today’s journey crosses Esna Lock then docks in Edfu, where the Temple of Horus has been magnificently preserved. Evocative and enchanting, this ode to the falcon god shines so vociferously it doesn’t appear real. 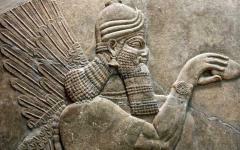 It seems impossible that so much has survived since 230 BC. But it has. And it’s as real as your decadent suite on the dahabiya. By nightfall, you’ve sailed further and docked by Al Ramadi Island, where a stirring sunset shepherds in a night beneath the stars. Keep sailing, past palm-studded islands, along the gardens of the Nile, through tiny villages draped on both sides of the river. You’re heading deeper into Africa and the Sahara, into a land where nomadic lifestyles and Middle Eastern culture collide. 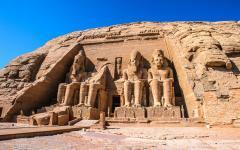 You’ll reach Aswan by lunchtime, a city that really reflects the rhythm of the dahabiya cruise. 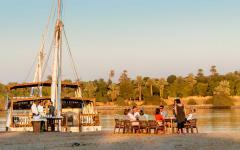 Transfer onto a small local felucca to explore its mosaic of waterways and islands. 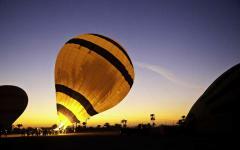 Using only the power of the wind, you visit Elephantine Island and Lord Kitchener’s Botanical Gardens. Drift on the breeze as the sunset paints the sky, absorbing the lush colors that rise in this sleepy southern city. It all feels a million miles from the bustle of Egypt, and almost as far from the atmosphere of Luxor. 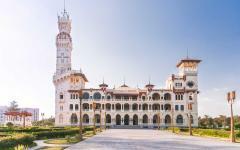 Escapist and elegant, Aswan feels like time has stood still, which is just how it feels when the wind is in your hair and the dahabiya cuts down the Nile. While the creation of Lake Nasser flooded countless historical treasures and the ancient kingdom of Nubia, life continues mostly unchanged in Nubian villages. Sprinkled along the riverbanks, with a stunning background of towering cliffs, these villages are a great means of exploring an undocumented side of old Egypt. Everyone knows of the excess of the pharaohs, but in the villages, you can see the enthusiasm and stoic pride of the locals that would never dream of tombs filled with treasures. Visit two traditional villages this morning then make a stop at the High Dam and the Temple of Philae, rescued from the lakebed and as exquisite as ever. The afternoon is at your leisure, and there are a number of markets close to where the dahabiya has docked. Aswan is extremely tranquil, and you won’t get the same hassle from tourists or locals as you would in the markets of Cairo or Luxor. 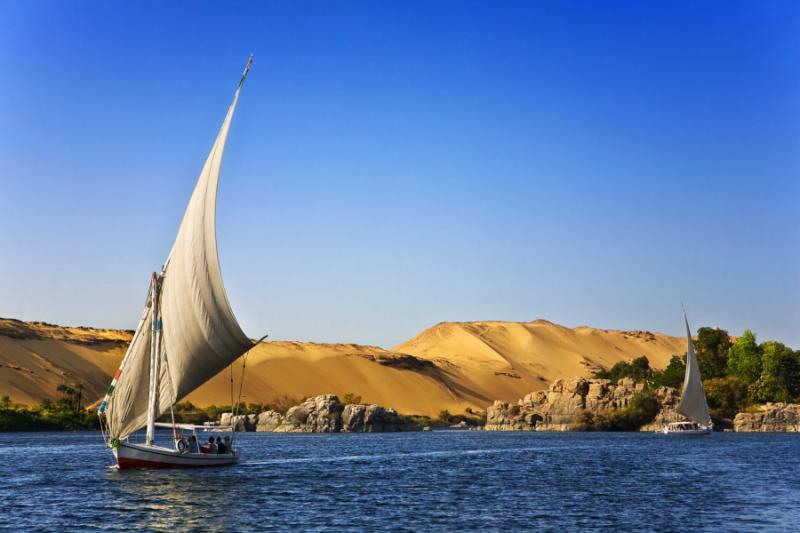 When pharaohs and kings traveled, they would use a dahabiya; the sails pulled tight as they glided up and down the River Nile. Expertly crafted for five millennia, these are efficient yet spacious vessels. Modern dahabiyas, like the one you travel on, have honored the traditional design style while being enhanced by modern luxuries. 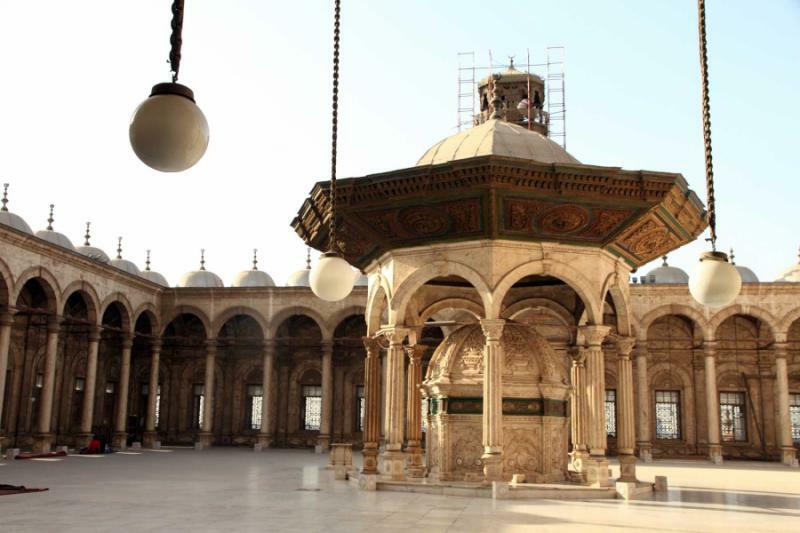 It’s a vessel fit for the old rulers and a far more serene way to see the Nile. There’s a sundeck for watching the Nile, an opulent lounge where meals are served, and various social areas around the sails. As it’s smaller than modern cruise ships, the dahabiya can dock at attractions that are off most cruise itineraries. As you return downriver, this morning you stop at the Greco-Roman temple of Kom Ombo, which honors the crocodile and sun gods, then spend the evening at Al Ramadi Island, where the tranquility is absolute. 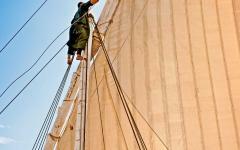 It’s a full day of sailing returning to Luxor. The dahabiya runs on wind power but also has an engine, allowing it to travel efficiently regardless of the conditions. You’ll take lunch while passing through Esna Lock, then spend the afternoon drifting on the currents towards the monuments of Luxor. Dock on the West Bank, where the monuments of the kings and queens are within walking distance should you wish to explore. A farewell dinner is served on the boat, and you fall asleep to the enigmatic sounds of the riverbank. 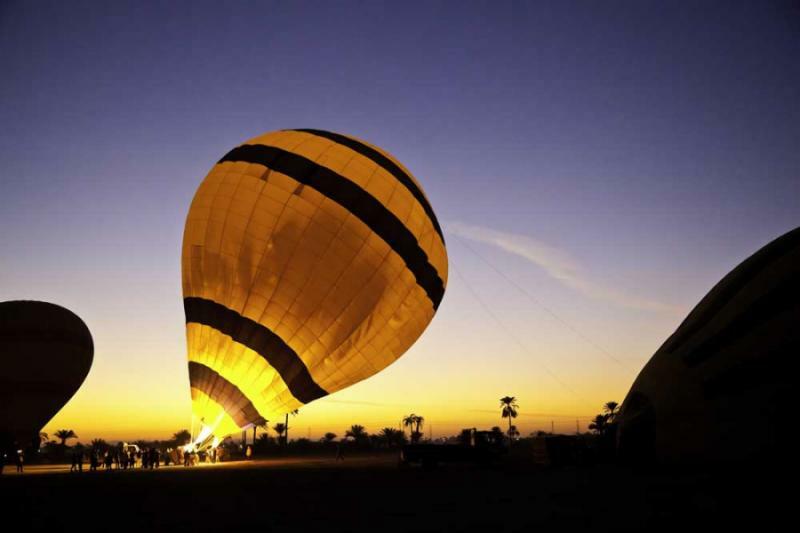 For a final treat, you soar above the River Nile at dawn, ascending in a hot air balloon as the water reflects the golden tones of a desert sunrise. You float above the Valley of the Kings and Valley of the Queens, admiring the staggering scale of the monuments you saw earlier. 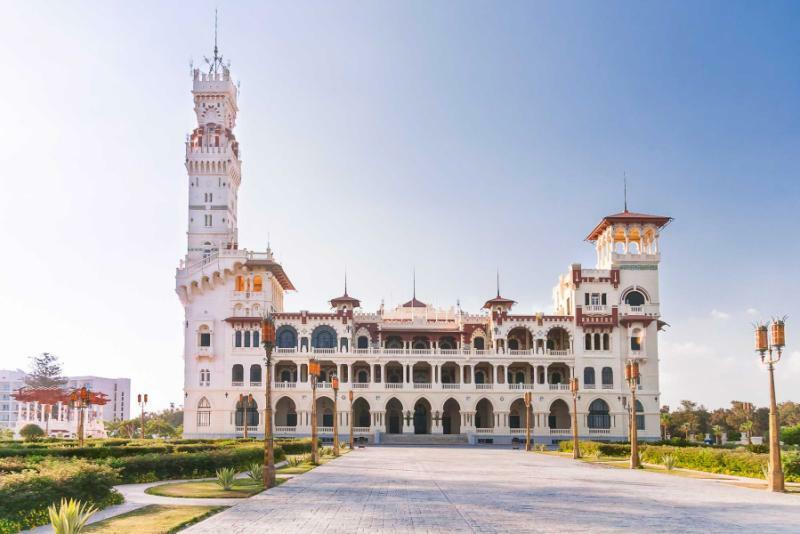 After returning to the boat for brunch, you’re transferred to Luxor International Airport for a flight back to Cairo and your international departure. "Very good service and I would recommend them without any issues at all."